Find articles by title in the library database Business Source Complete. These instructions will help you find articles for Harvard Business Review, Harvard Business Review Digital Articles (including blogs), Harvard Management Update, Harvard Management Communication Letter, and Harvard Business School Publication. Wat ch a video tutorial of these instructions. 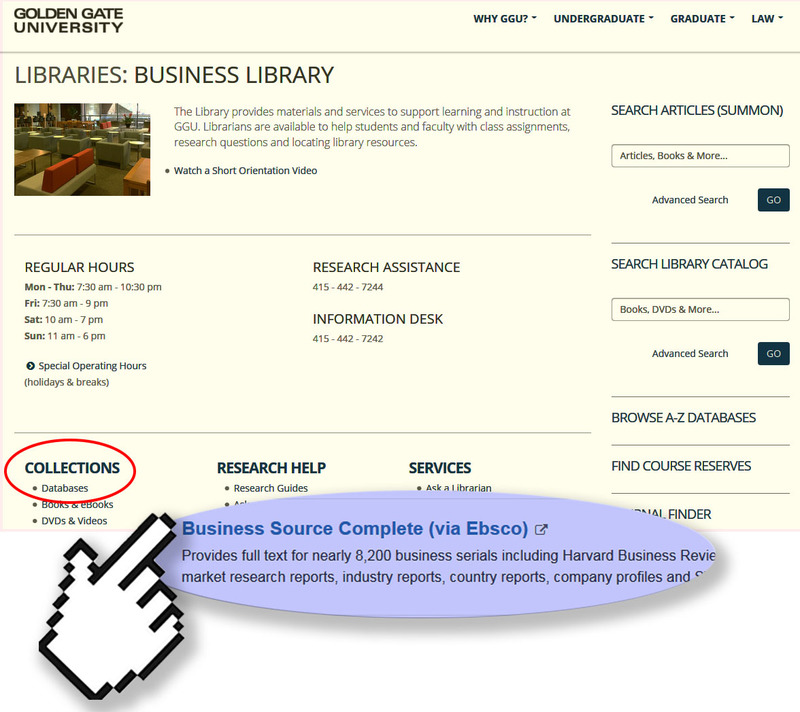 The only library database with Harvard Business Publishing articles is Business Source Complete. Harvard Business Publishing has very strict copyright limitations. Instructors and the Library are not permitted to provide direct links to articles in Business Source Complete. Need help? Ask us! Step 1: Business Library homepage. Off-Campus? Login to the Business Library with your GGU4You or your GGU ID. Which article is the correct one? For course readings, match authors & the publication date. Look at the results list. To select an article, click the blue title to open the record. With the article record open, you will find a PDF (if available), and a CITATION tool. Use the other tools to print, save and email. Can't print? No full text? See the box: Problems? Watch a video tutorial demonstrating these instructions. Video demonstration of the instructions. Find HBR articles by title. I don't have the title or author. I'm looking for an article in Harvard Business Review on my topic. How do I search? Click the tab Find Articles by Topic. I found an article using the database Business Source Complete, but it will not let me print or save. Why? Harvard Business Publishing copyright restrictions place limits on some articles - you may not be able to print or save. If the full text is available, you can read it online in the database. The article you want may be in the print edition. On campus? Come to the Business Library and find the article. Sorry we can't copy or scan it for you because of copyright restrictions by HBR. Too far away to visit? Try your local public library! Did your instructor set up a Harvard Business Review Coursepack? Are you using the correct database? Business Source Complete. Search with Google to see if the citation is correct. Google search: title, author's last name, Harvard Business Review. Remove punctuation from the title. DELETE : ! ? Do not edit or add to Harvard. Do not change the Select a Field. WHY? Searching by publication is normally highly recommended, but with HBR it can be problematic. There are many different Harvard publications and putting too much information in this search field will likely keep you from finding what you need. Keep it simple! Only add keywords as needed. Plus, there are HBR articles and HBR cases studies. Harvard Business Publishing has very strict guidelines for copyright. 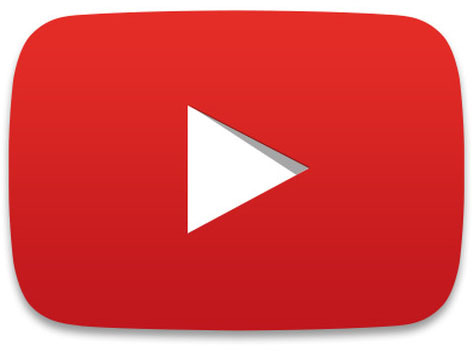 It is important to understand that general fair use practices do not apply to HBR. HBR case studies and articles should not be distributed or shared. Do not create direct links or post a URL. Do not share PDFs or print and disseminate HBR case studies or articles. 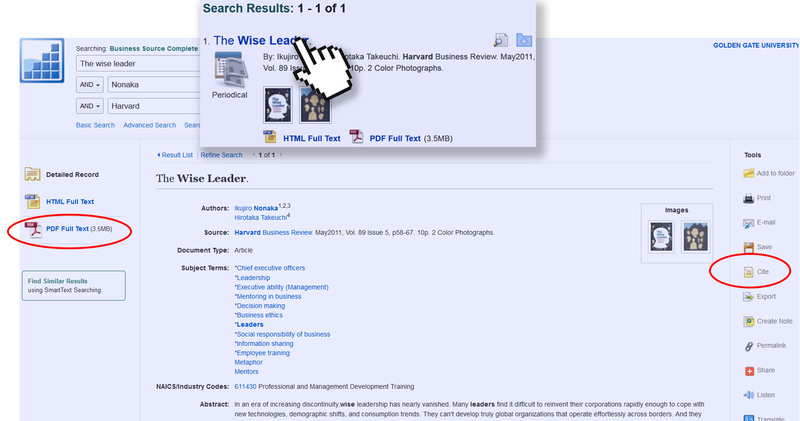 HBR case studies and articles may not be requested through Interlibrary loan.